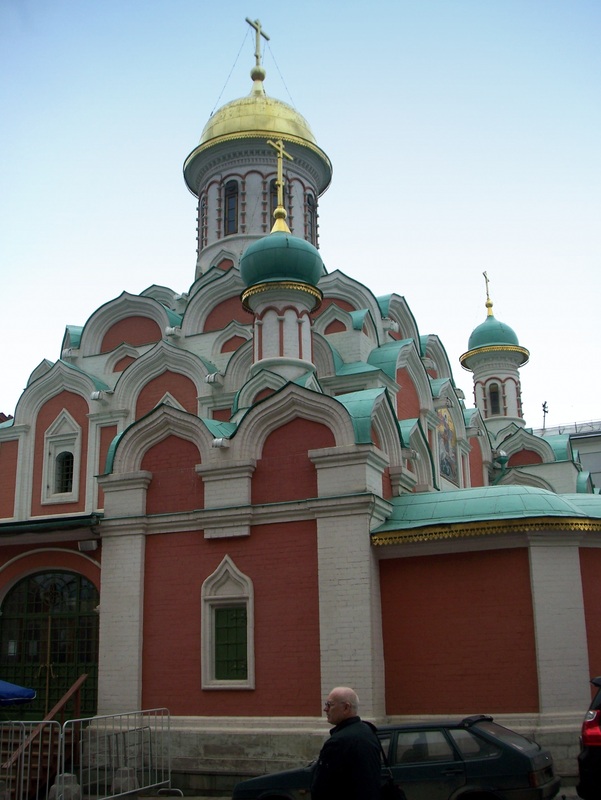 I have just returned from a brief trip to Moscow (October 2012). The weather there was bitterly cold, something it happened to share with China which was having its first harsh snows of the winter. Something Russia didn’t appear to share with China, however, was a desire to provide customer service. If only the Muscovites had been brought up on this traditional Chinese quotation: “Don’t open a shop unless you like to smile”. Be it in a shop, a taxi or a restaurant, the poor customer is greeted with a gloomy face and a mumbled greeting. Things were sometimes better in the classier restaurants but price was certainly no guarantee of good service. I first visited Moscow as a student in 1979 and the city is virtually unrecognisable from those Cold War days. It seemed friendlier then: the Russians were hungry for contact with Westerners and keen to chat at any opportunity. And even keener to buy your jeans from you! The physical changes are obvious too. I stood in Red Square this week and thought my memory had completely failed me: I didn’t remember the arched gate next to the History Museum, nor the fairytale church to the side of GUM. Turning to my guidebook for help, I learned that both had been destroyed by Stalin and then rebuilt in the 1990s. The opposite happened at the other end of Red Square, where the ugly megolithic Rossiya Hotel had completely vanished. Photo by Pete Verdon, 2006, from Wikimedia Commons. It was the largest, and probably ugliest, hotel in Europe, yet it seemed the height of luxury to me back in the 70s, so exclusive that you couldn’t even get through the doors if you weren’t resident. I managed a visit to the ballet in the hotel’s plush theatre below and I had promised myself a stay at the hotel in the future. I returned too late, however, as it was destroyed in 2007. Quite fortunately it seems, as its pompous attitude was not supported by either its service levels or hygiene record. The vast gap it left behind has yet to be filled. There were plans to replace the monstrous hotel with a commercial centre that would visually connect Red Square with other Moscow landmarks. Foster and Partners (click here for their podcast from the Royal Academy) had impressive plans, but nothing has materialised. The construction of the hotel in the 1960s decimated the medieval Zaryadye district, leaving just a few churches on Varvara Street; I hope the space is filled with something worthwhile and attractive soon. In 1979 there was virtually no shopping to be done, nor food to be eaten. GUM was the setting for long queues just to buy a banana or a loaf of bread. Now it is a luxury department store, featuring any fashion designer you’d care to name. It really is a beautiful place to window shop. But be warned, the prices are much higher than in the UK or the rest of Europe. When you’ve had your fill of shopping, take a break for drink or lunch at the Bosco Cafe on the ground floor facing the Kremlin. 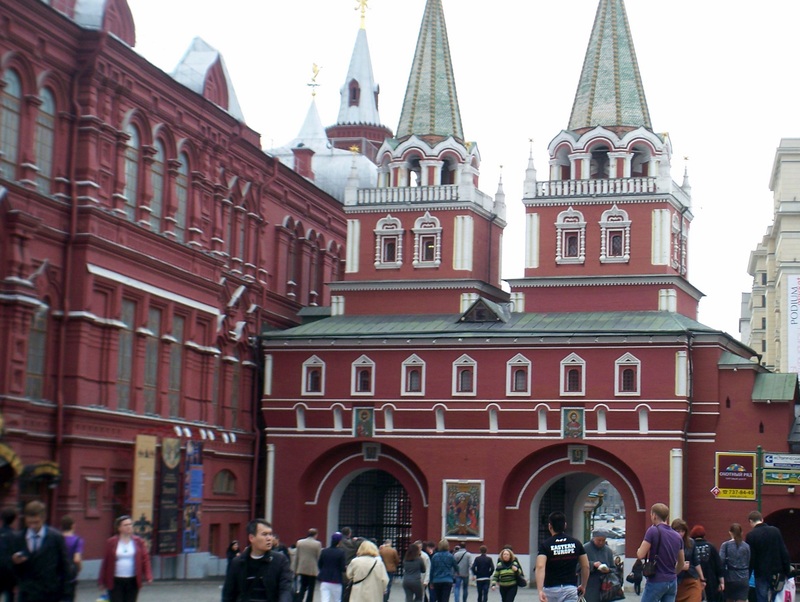 In good weather you can sit outside and take in the enormity of Red Square and the beauty of St Basil’s. 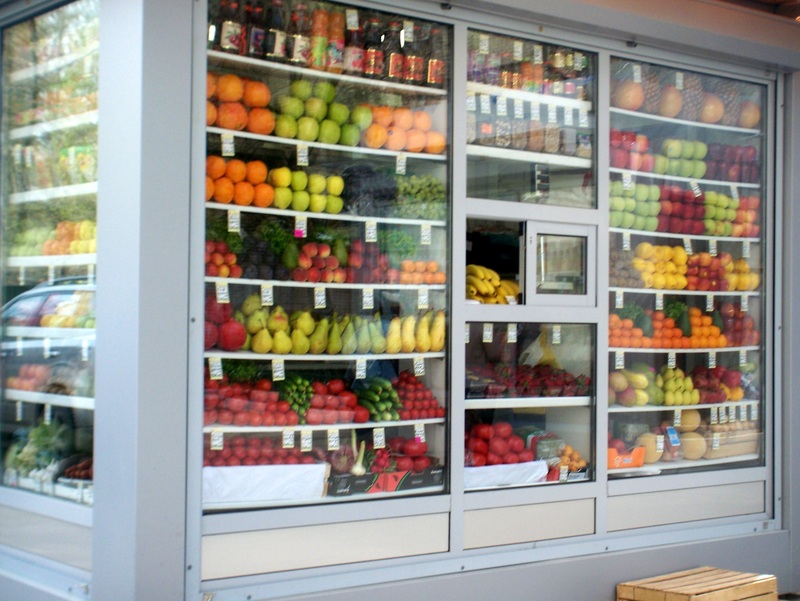 In my whole month in Moscow back in the 70s, the only vegetable I saw was cabbage, so I was amazed on this trip to see excellent supermarkets, such as Sed’moy Kontinent, and pavement kiosks stacked high with fruit and vegetables. Moscow also has its share of smaller fashion boutiques. It is a large city, though, and the traffic is horrendous so you’ll need to use the efficient but over-crowded Metro to get between shops. The metro can be baffling for foreign tourists as the majority of signs are in Cyrillic only. It is additionally daunting for those who don’t have a head for heights as some of the escalators are seemingly bottomless. The extravagantly ornate stations make it worth the effort however. If you fancy a more relaxed afternoon’s shopping, I recommend the area around Patriarch’s Ponds (Патриарши пруды). There is a genuine village feel to the area and it is a pleasant place for an afternoon stroll. I have a particularly fond view of this area as it was immortalised in my favourite Russian novel, Master and Margarita by Mikhail Bulgakov: this is where the devil appears and where Berlioz is run over by a tram. Take in the park around the pond, full of children and their parents, and then move on to the fashion boutiques; don’t miss my favourite, Victoria’s Vintage on Malaya Bronnaya. If you’re on the hunt for souvenirs with a difference, check out, Podarki, Dekor i Podarki, just along the road. When you’re ready for a break, there’s no shortage of cafes and restaurants. Volkonskiy Bakery at Bolshaya Sadovaya 2/46 is a branch of a popular French bakery chain, great for breakfast, but my favourite is Cafe Margarita facing the park. For a great evening meal try Pavilion, right on Patriarch’s Ponds for good service (yes, really) and excellent Russian food. My favourite restaurant in Moscow is also here: Uilliams (Вильямс) at Malaya Bronnaya 20a. William Lamberti’s restaurant has a buzzing but homely feel with an open kitchen in the centre of the room. The inspiration of his Italian heritage is evident in his use of fresh ingredients and inventive food. For anyone feeling homesick and in need of a reviving pint of British beer, look no further then the Fullers Pub (Фуллерз Паб) at Bolshaya Ordynka d.40 str. 1. They do a great pint of London Pride along with typical British pub food. My last recommendation is for booklovers. Try out the Moskovskiy Dom Knigi at Novy Arbat 8. 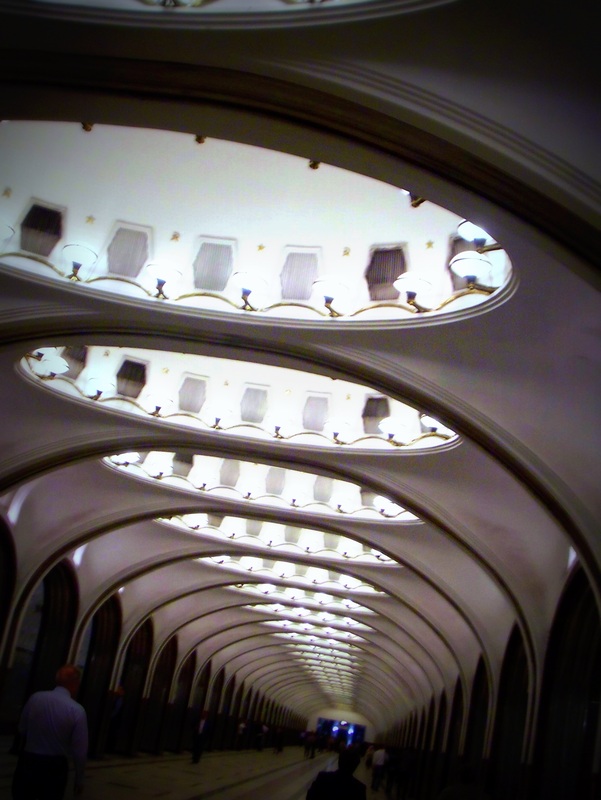 It is something of a Moscow institution, dating back to Soviet days. 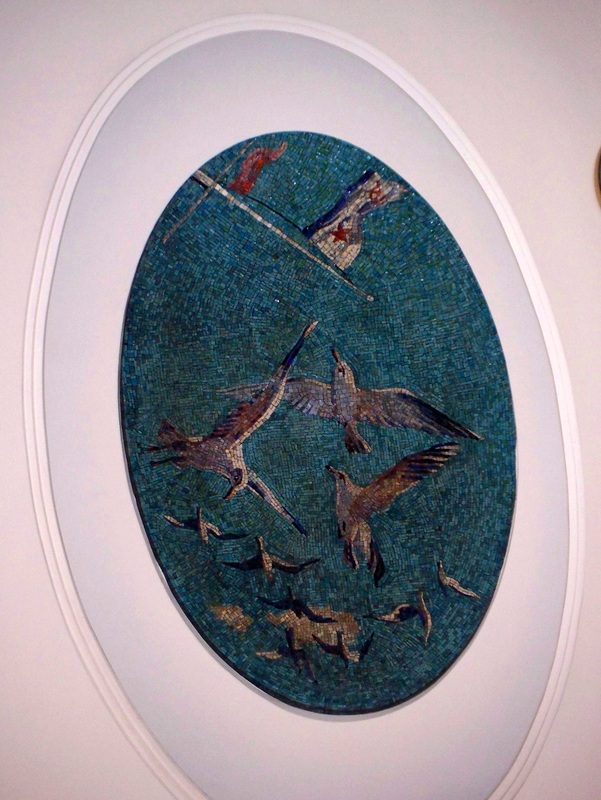 I visited in 1979 when it sold a good selection of Socialist Realism posters and badges. That was in the days when you had to queue three times to buy anything. First you queued to select your item and exchange it for a ticket. Then you queued again at the cashier desk where you paid and exchanged the ticket for another ticket. Then you queued again where you first started and exchanged this second ticket for your chosen item. The shop is still there and doesn’t look much different from the outside. Inside, it’s a little more modern now and even has a cafe. On the ground floor there’s a good selection of maps and guide books, upstairs you’ll find a good art section plus all the Russian classics. 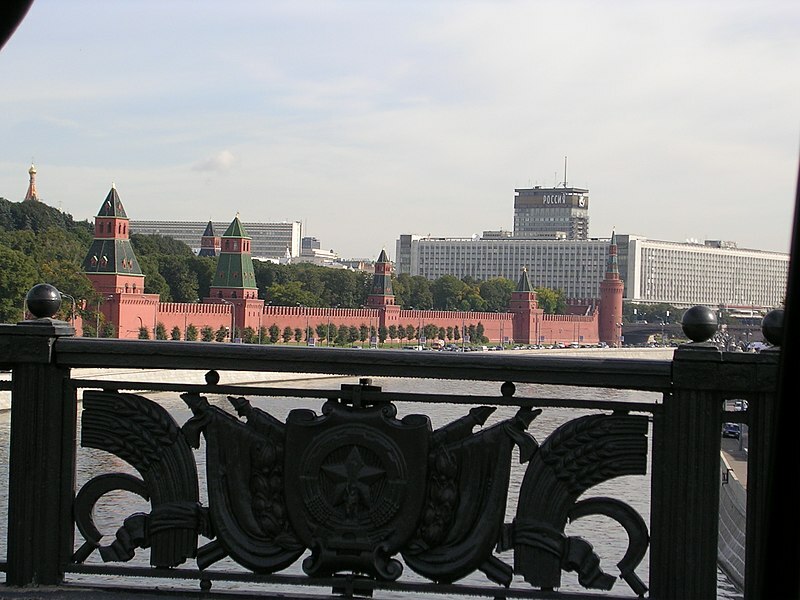 Moscow rates high on my travel list for its history, architecture and literature, with a spot of shopping on the side. I detest the traffic, enjoy the language and love the top class restaurants (though not the prices that go with it). Originally published October 2012, updated August 2013. Linked to Travel Photo Mondays and Travel Tuesday. I have never been to Russia but I’m interested in visiting, someday! Yes I read her post on that too. She may be right. They do it very well if thats the case. So Russians really are known to no smile policy?.. or they’re just having a bad day? Wow, what an interesting contrast between 2012 and 1979! It’s fascinating to say the least… I am jealous that you were able to see the ballet. That’s definitely on my bucket list. Ballet in Russia! Wow, what an amazing post! Even though I live in Moscow, I just gleaned at least half a dozen recommendations for a day on the town! Man, I almost forgot all about the RUSSIA hotel! My trolleybus used to go right by it every day, on my way to school. But to the re-patriated me, it’s like it was never there. Honestly, I am afraid to think what will eventually take over that space. Moscow does NOT need another shopping center. When I flew out to Moscow as a poor student, destined to stay in hotel unknown, I met a group of vets going to a conference and staying at Rossiya. They invited us to visit, but of course we couldn’t even get through the hotel door. It turned out we were housed in the Ostankino, near the botanical gardens, which was grim to say the least. So ever since, I imagined returning and staying at the Rossiya. It seems I was saved by its destruction! Now there are some good hotels if you can afford to stay in them! Great story and photographs. I know what it is to return to a place and see it changed so profoundly. Great point about the language, especially to navigate the subways. I took Russian one summer but in fairness, I missed the first two classes and dropped it because I felt like I’d never catch up. Moscow’s still on my list. It must have been great to return. Thanks for taking us along on your trip. Fascinating story about the reality of visiting Russia. It was very interesting reading. Love the photography. Russian architecture seems to have a style of its own. I love the bright colors of the buildings; it is sad that no one smiles. Wonderful photos and I loved hearing your comparisons of Moscow then and now. I would love to visit one day (despite the gloomy shopkeepers). Looks amazing! We’ll be visiting Moscow for the first time at the end of the month. So looking forward to discovering it! Wow! I’ve never been to Russia but would love to go. My dad used to go all the time and bring me back souvenirs when I was a kid. Someday I’ll make it myself! Great post! 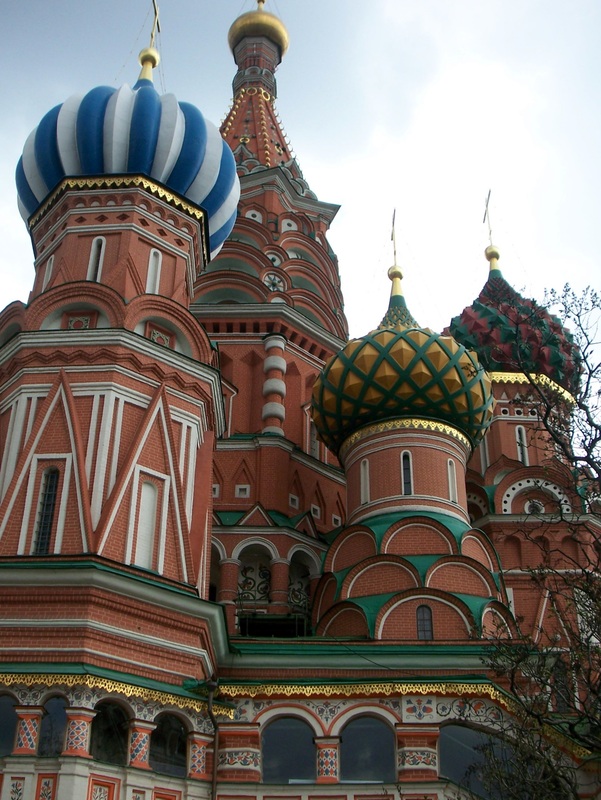 Off to Moscow again soon – my third trip. Can’t wait to get myself back to the Motherland. I wish I had another trip lined up. I’ve still only seen Moscow and surroundings so I will have to put that right soon. Enjoy your next trip.